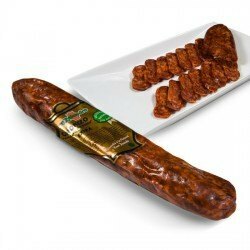 Chorizo from the Alpujarra mountains in Granada. 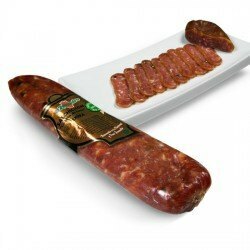 Handmade in Trevélez, at 1700 metres altitude, with top-quality, naturally-cured meats. Approx. weight: 250 g to 300 g. Vacuum-packed. 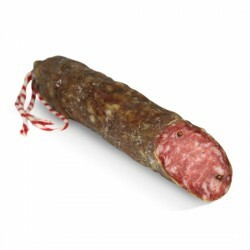 A gluten-free and lactose-free cured sausage from the Alpujarra mountains. 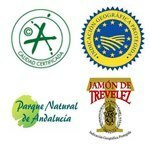 Handmade in Trevélez, at 1700 metres altitude, with top-quality, naturally-cured meats. Approx. weight: 250 g to 300 g. Vacuum-packed. El Zalandro Premium Homemade Loin Salchichón. 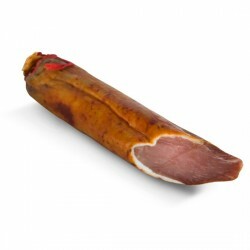 This salchichón is made from fresh pork loin, 10% fatback from the loin and natural seasoning. 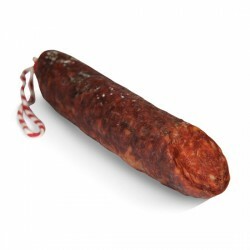 This salchichón has been made following the traditional methods used during the pig slaughter in towns of Granada. It is unique because it is hand-pressed. Weight: 450 g approximately. White pork loin, cured for at least 5 months. 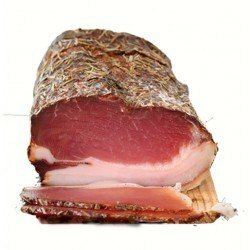 Very mild flavour with a low salt content, cured naturally in a drying house in the Sierra Nevada. Approx. weight 800 g to 900 g. PRICE PER PIECE.